Canary large shopping tote with drop-in board. 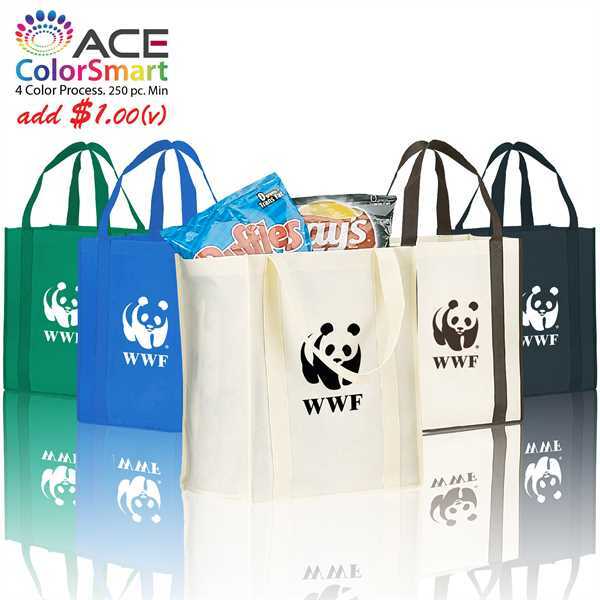 Made from eco-friendly, recyclable, non-woven polypropylene. 15" h x 13" w x 18" gusset. Best seller. Size: 15 " x 13 " x 18 "
Ship Weight:28 lbs, 28 lbs per 100 pieces.